Pet lover with pet allergies? You are certainly not alone. Many pet owners have allergies to pet dander just as they do to pollen and other allergens encountered on a daily basis. So should you have a pet if you are allergic to pet dander? That depends, are your allergies so severe making you miserable anytime you’re in the same area as a pet? Even after taking antihistamines? If so, a furry companion is probably not for you. People with pet allergies are not generally allergic to pet hair per se, they have sensitive immune systems that react to pet dander, dead skin cells that shed. The good news is there are many other species that make great pets. For instance, fish, frogs and small reptiles are good alternatives to furry pets. Beta fish and gold fish are very easy to take care of so perfect for kids. Hermit crabs make interesting pets and some people even have snails! Spiders and snakes are not uncommon pets but may not be for everyone. Each of these pets have very low levels of allergen but are not completely hypoallergenic. For people with severe allergies, researching each type of critter is highly recommended and most importantly, consult a medical professional before getting a pet that may cause an allergy attack. The domestic dog: part of the family? When we take a look at the evolution of the domestic dog that we know and love today, we find that they are close cousins of the wolf. Wolves, however, are far from known and loved by man, to say our relationship with the wolf has been historically adversarial is putting it lightly. The reality is, we’re at war with Canis Lupus. A war over food and land but unfortunately, the wolf is losing. By the 1930’s man had eradicated the gray wolf from the Western United States. Not a nice way to treat your best friend of 15,000 to 30,000 years. 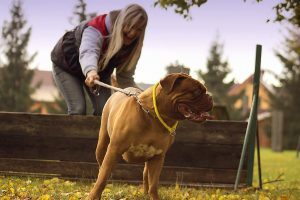 Is changing to suit our needs good for the dog? I know it’s good for us, dogs are more than companions. They are protectors, guardians, loyal friends, assistants, confidants, exercise partners and so much more. Somehow I think we get the better end of that deal.